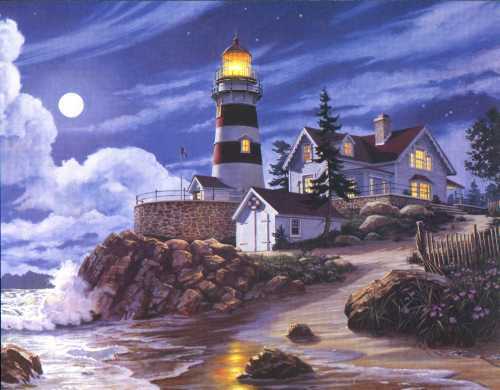 A stunning image of a lit lighthouse at night, with a full moon glowing in the background. Reflections of both the moon and the lighthouse glimmer from the water's surface. The lights are on in the keeper's house. Its a starry night, but clouds off the coast suggest an incoming storm. Strikingly bold blues.